Free market vs State involvement. Today, the capitalist perspective has taken over the socialist paradigm. In fact, the unstoppable process of globalization has allowed the capitalist model to spread all over the world. Yet, supporters of the socialist ideals can still be found in all societies. In addition to the contrasts between socialism and capitalism, we can find an opposition between utopian socialism and Marxian socialism. While both perspectives strive for an egalitarian society, there are several differences between the utopian and the Marxist approach. The term “utopia” refers to “any visionary system of political or social perfection.” In fact, utopian socialists strived for a perfect and equal society and promoted the ideals of a more just humanitarian world. Although all socialist movements can somehow be considered utopic, the label “utopian socialism” refers to the early form of socialism, which spread at the beginning of the 19th century. Utopian socialism finds its roots in the works of the Greek philosophers Plato and Aristotle who described idyllic models of perfect societies. Their ideals were later re-elaborated by philosophers and thinkers in the post-industrial revolution following the increasing pressure on the working force caused by the capitalist system. Equal enjoyment of and redistribution of wealth and resources. Although the just mentioned ideals were adopted by the entire socialist movement, utopian and Marxist socialism believed in different means of social transformation. In fact, utopian socialists had the idealistic belief that societies could organize themselves through a better use of public debate and consensus while Marxism was based on a scientific approach. The father of modern utopian socialism was the English writer and philosopher Thomas Moore (1478-1535) who, with his 1516 novel “Utopia”, introduced the idea of a perfect society and a tolerant state based on individual and collective freedoms, tolerance, communal life and free education and health care. In his highly-influential book, Moore re-elaborated the concept of “utopia” and compared the struggle of life in modern England (under the control of King Henry VIII) to the idyllic life in an imaginary Greek isle where social structures were simpler. Moore’s ideals were further elaborated and practically implemented in the 19th century by the businessman Robert Owen and the philosopher Jeremy Bentham. In fact, factory-owner Robert Owen implemented the utopian model to improve the conditions of work and life of his employees. With the help and support of Bentham, Owen introduced a new system of work, which included distributed work, fewer work hours and increased benefits. Although the project collapsed few years later, the model created by Owen and Bentham paved the way for future utopian socialist movements. 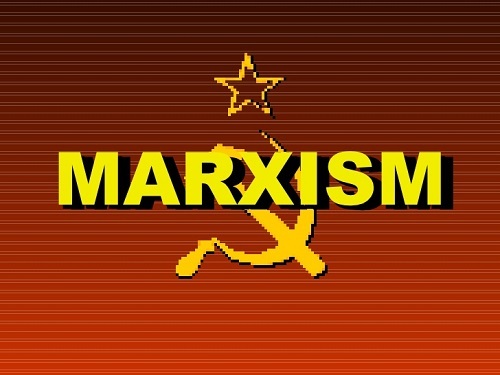 Marxism was developed in the 19th century by Karl Marx and Friederich Engels and forms the basis of communism. According to the Marxist perspective, capitalism was the root of all injustices and of class struggle. As such, the existing class structure had to be overthrown with force – or with what he called the revolution of the proletariat – and had to be replaced with an improved social structure. The potential for creativity and community. As, according to Marx, every class is defined by its relation to the process of production, the only way to change the social structure is a revolution initiated by the workers (the proletariat). The result of the revolution would be a socialist society based on democratic planning where production would be aimed at serving social needs rather than at maximizing individual profit. The final goal would be the complete abolition of alienation – in other words, communism. All socialist ideals advocate for a “utopian” society based on equality, sharing, strong moral values and balance. Yet, utopian socialism and Marxism believe in the use of different means to achieve the common goal. The distinction between utopian socialism and Marxism (also called scientific socialism) was analyzed by Friederich Engels in his 1892 book “Socialism: Utopian and Scientific.” In Engels’ perspective, utopian socialists advocated for social transformation without acknowledging the need for a political revolution. Conversely, class struggle and revolutions were the trigger for change in the vision of scientific socialists. The main problem of the utopian perspective is the fact that utopian thinkers believed that capitalism was the root of the corruption and the misery of the society but they did not propose any feasible way out. In their view, men were the product of the environment and the conditions where they were raised and where they lived. In a capitalist society, men were exposed to greed, avarice and arrogance – conditions that did not conform to the human nature. These conditions could only be changed if all members of the society realized that they were being corrupted. However, the re-education of citizens was only possible if conditions changed, as they were the determinants of the character and the moral values of people. In other words, in order to change moral values, conditions had to be changed. Yet, at the same time, to change conditions, moral values had to be changed. Utopian socialists were trapped in a vicious cycle. Therefore, the main difference between Marxism and utopian socialism is that the first theory was rooted in a materialist understanding of history, which argued revolution (and communism) to be the inevitable consequence and progression of capitalist societies while the second advocated for an egalitarian and just society but did not provide any roadmap on how to achieve it. Socialism is a political, economic and social theory that promotes collective ownership of wealth and good and collective rights over individual profit and ownership and individual rights. Within the socialist perspective, we can distinguish between utopian socialism and scientific socialism (or Marxism). While both believe that capitalism is corrupting society and individuals, they propose different means to change the social structure and to achieve a socialist society. Utopian socialism argues that, for change to be possible, moral values and external conditions must change whereas Marxism believes that revolution and socialism are the inevitable progression of the capitalist society. Giulia Squadrin. "Difference Between Utopian Socialism and Marxism." DifferenceBetween.net. August 1, 2017 < http://www.differencebetween.net/miscellaneous/politics/difference-between-utopian-socialism-and-marxism/ >. Engels, Friedrich. Socialism: Utopian and scientific. Resistance Books, 1999.